This piece was aired on This Way Out, the Los Angeles-based lesbian and gay radio syndicate that airs across the U.S. and in 22 countries abroad. Click here for audio. When I came out, in the early eighties, everything was Sappho. 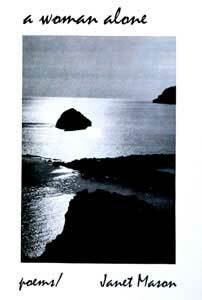 There were the books (most notably, Sappho Was a Right-On Woman) and newspapers (the New York City-based Sappho's Isle to name one). We were the daughters of Sappho, the sisters of Sappho, the lovers of Sappho. In most instances, the things that we said and did had nothing to do with the poet Sappho--but we were honoring her and claiming our history. Sappho lived in the archaic period of ancient Greece in 600 b.c. was known as The Poetess, was influenced by Homer and was the first woman poet to put her openly lesbian desires on the page. Her work was written on Papyrus and much of it did not survive--some deteriorated and much of it was intentionally destroyed. Only one full poem remains--her Hymn to Aphrodite--and the rest of her work appears in collections of fragments. 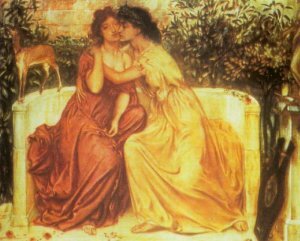 In addition to being such an important poet from antiquity--Sappho is also an icon to an entire generation of lesbians who came of age in a certain time and place. Several years ago, I was startled when a young woman approached me after a poetry reading and asked, "Who's Sappho?" I had just returned from a pilgrimage to Greece, where I had toured the mainland and islands--including the isle of Lesbos where Sappho had lived and where the word "lesbian" originated. It was a trip inspired by Sappho's poetry and by my curiosity to learn about the geography that had shaped her. And altars thick with incense"
My journey began in Athens where I entered a bookstore in The Plaka and inquired about Sappho, pronouncing her name in the Greek way, Sapfo~. The proprietor's eyes widened as he asked "The Poetess?" As I was to find out, this was Sappho's title from antiquity, just as Homer was known at "The Poet." The other Greek poets were on the shelf just inside the front door, but he had to go into the bookstore's backroom to retrieve a book by Sappho. Several weeks later, I flew to Lesbos, the Northern Aegean Island that is far closer to Turkey than it is to any of the other Greek islands or to the strip of Greek mainland to the North. The first thing I noticed was that the island was surrounded by the bluest sea that I have ever seen. After a few days in the port city of Mytilini, I boarded the island bus to the town of Skala Eressou. Unlike the more commercial Greek islands, such as Crete, there were no billboards along the road. Here and there were small hand letter signs that read Lesbos Honey. As the driver deftly navigated around hair-pin mountainous roads, I looked down on fields of poppies, wild and red. We passed the Gulf of Yera, a thumbprint of sea come inland, and wound through the relentless mountains where olive groves thinned out into scrub pines, jagged rocks, sudden rises and drops, with a few straggling goats crossing the road. I stayed in a hotel on the outskirts of town and my first afternoon there I walked into town with a smile on my face stretching as far as the horizon. The rumors I had heard were true. Yes, this is an international gathering place for lesbians and their friends. the child back to its mother." There is no erasing this woman that Plato described as the Tenth Muse. Her words were pieced together from pot shards, from fallen columns, from drinking vessels that women carried on their shoulders. She was quoted with reverence by other poets; she was mocked and ridiculed, and through it all she remains with us. Writing more than 2,000 years ago, she predicted that we would come to claim her. "I tell you;/" she wrote, "in time to come someone will remember us."